If you were wondering how Apple's iPhone XS and XS Max were doing, sales-wise, a new report from CIRP comes to shed some light on the matter. Here's the gist of it: sales were strong until the end of the third quarter, and split evenly between the two models. In the ten days that they were available out of Q3, they each accounted for 8% of US iPhone sales for the entire quarter. The combined 16% market share achieved in ten days is comparable to the entire quarter's sales of each of last year's models. 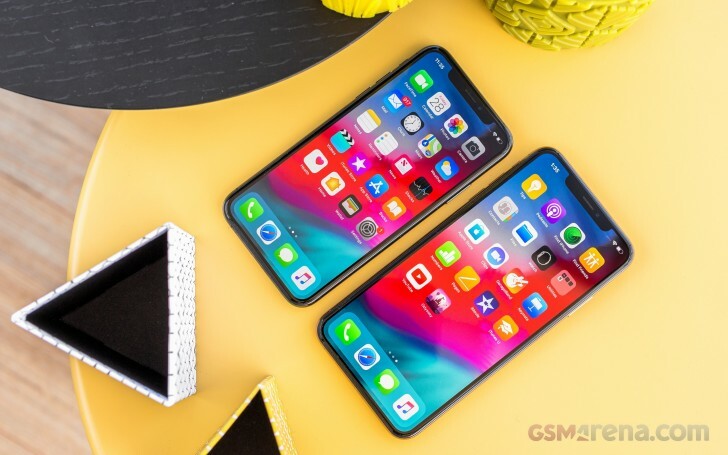 iPhone XS and XS Max sales were similar to the iPhone 8 and 8 Plus in their launch quarter in 2017. The new smartphones have helped boost Apple's average selling price in the US to a record-breaking $796 WARP (that is, Weighted Average Retail Price - this reflects the discounts Apple offers to retailers and carriers). In the second quarter of the year, the US-WARP was $751, while in Q3 of 2017 it stood at $705. The trend is clear, but the impending launch of the iPhone XR, which is cheaper than its two siblings, may stop or slow the growth in this metric. All of the data quoted above is based on a survey of 500 US Apple customers who made a major purchase during the third quarter of this year.